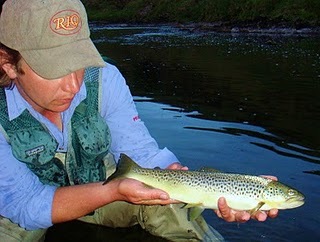 This year the Tyne Rivers Trust are hosting their second Tyne Fishing Festival at Lambley Farm Estate on the South Tyne, July 4, 2010 11am to 5pm. This FREE day will feature Tyne Rivers Trust guided river walks, free fishing instruction from qualified instructors, several trade stands. There will be a beer tent & hog roast, games room and plenty going on! Funds raised will go the Red Cross and other charities. Lambley Estate nestles in a beautiful part of the South Tyne valley with gorgeous walks all around. Bring the family for a fun day out. Nice site ladies some very interesting info on here, well worth a read. Really pleased you’ve found our site and you think the content is worth a read. We try to give the female angler upto date information. Look forward to reading more of your comments.